Manage, create and track outbound customized links, with the use of 301 Redirect. 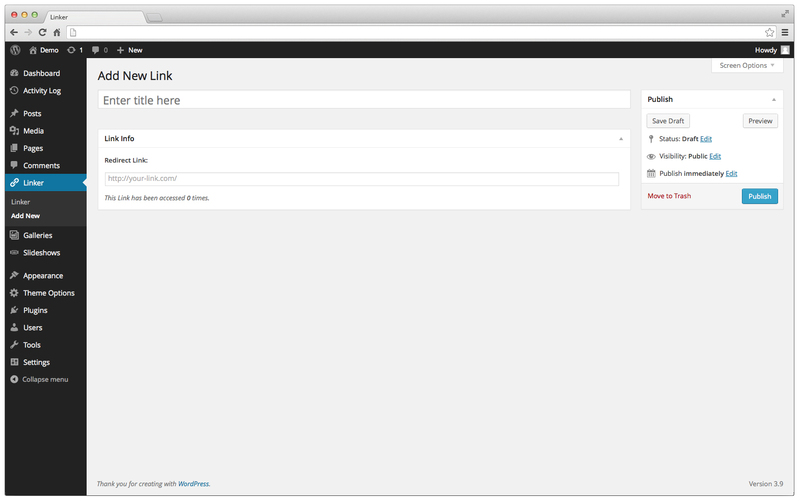 Linker adds a new custom post type to your Admin menu that will allow you to fully manage the links. You can track the click counts and save them. This plugin also works great with Google Analytics for WordPress by Yoast. You can track them with Google Analytics for full statistics by using Event Tracking. Go to the Google Analytics setting page: Menu Settings > Internal Links to Track as Outbound > Enter “/go/” in the field > Select a Label to use. Now go to Content > Event Tracking > Categories, and you’ll see the Label that’s in use. This way you can easily track the link clicks.